When you love something, you want to make it your own. 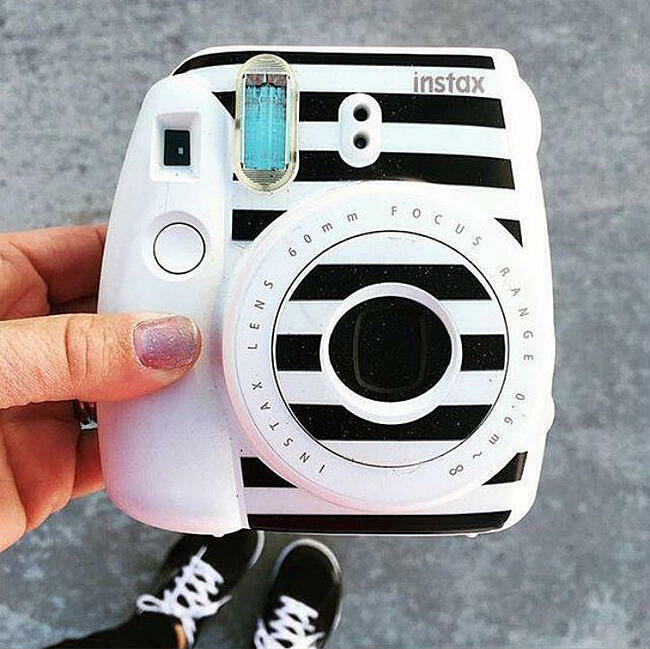 We know you instax lovers out there have a loads of creativity, and we love seeing how you let your imagination run wild. You take brilliant photos with your instax, so why not jazz it up as well? Make your favourite camera impossible to miss and unmistakably yours with a little decorating. Here are some examples we love to help get your creative juices flowing. Drawing patterns with dashes of colour can instantly perk up your camera. 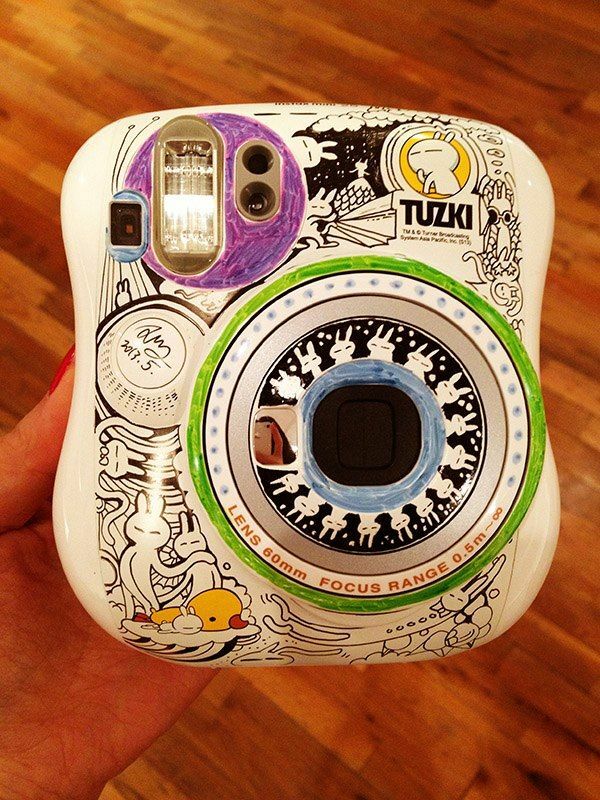 Think of your instax as your canvas, and wind your designs around the curves and various surfaces of the camera. Dazzle your subjects when you arrive to shoot pics with a bejeweled instax. 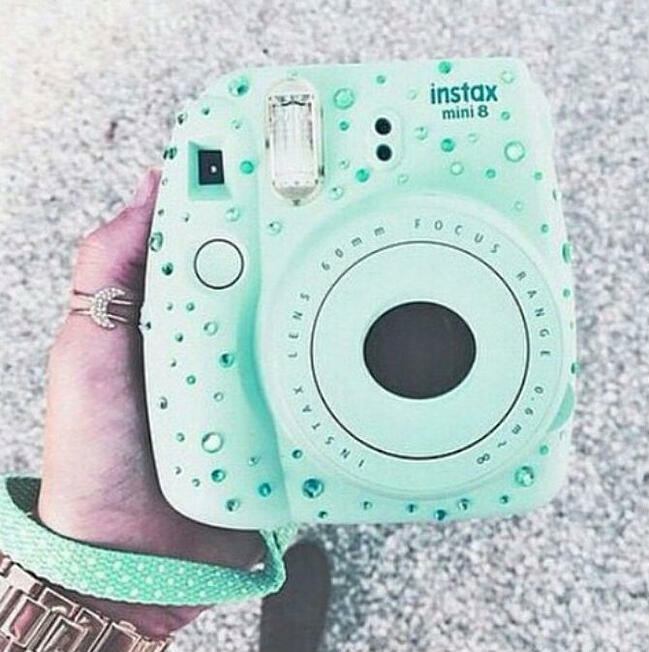 Sparkling hues that match the colour of your camera can also accent your instax, as shown here. Add a little something to your camera to change up its look and personalise it to match your taste. Whichever style you choose, be sure it is safe for the surface and won’t damage the camera’s ability to take photos before adhering any material. And of course, make sure not to obstruct the lens, so you can see clearly when you snap. 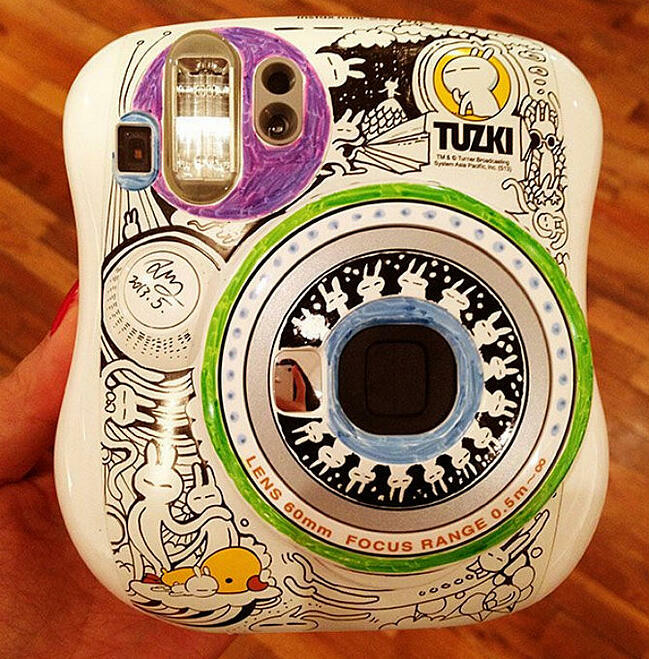 These are just a few of our favourite ideas; how do you plan on decorating your instax?